Open MRI technology is now available to those in the Fallon, Nevada, area, thanks to the experts at Tahoe Fracture & Orthopedic Medical Clinic. Do you have claustrophobia? Are you concerned that your shoulders may be too large to fit into the traditional closed unit machine? Or, if you’re a parent and you’ve been told that your child needs an MRI, are you worried about him or her not being able to hold your hand during the scan? If any of these concerns apply to you, you may be an ideal candidate for our innovative open MRI machine. 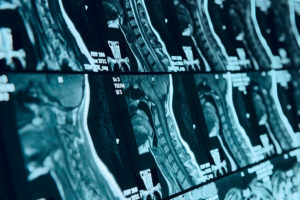 Despite the importance of MRIs in diagnosing these conditions, many people are hesitant to undergo these scans because traditional closed unit machines require them to be enclosed in a tube-like apparatus for the duration of the scan. With the innovative open MRI technology we offer near Fallon, NV, however, we can complete any necessary tests while patients remain comfortable and relaxed on a wide, rotating table. If you’ve been told that you need to have an MRI but you’re concerned about undergoing the scan in a traditional closed unit machine, please contact Tahoe Fracture & Orthopedic Medical Clinic today. We would be happy to schedule an appointment for you at one of our offices near Fallon, NV, provide you with additional information about the many other services we offer, and answer any questions you may have about the MRI process and our state-of-the-art open MRI machine. We look forward to using our innovative open MRI technology to help you take the first step toward restoring your function, mobility, and quality of life.